NEWS: The Wild Coast receives a fab review. 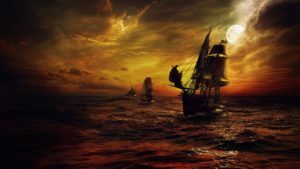 What if a 400-year-old code is composed into music, and this music holds the clues to finding a priceless treasure shipwrecked off the wildest coast of Africa? Inspired by a true historical event. 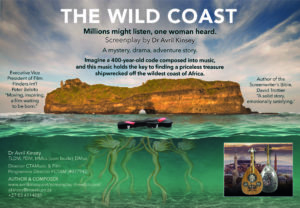 Dr. Avril Kinsey’s feature film script, The Wild Coast is ready to be pitched, ready to be optioned and ready to meet like-minded professionals keen on making quality movies on inspiring subjects about feminine heroines. Committed to making it happen, Avril Kinsey envisions a major South African Producer and international Co-Producer is required to make this mystery, drama, adventure story aimed at the international market. Logline: A passionate woman’s quest, to uncover a code hidden in a 400-year-old piece of music found on the Wild Coast of Africa, discovers she holds the key to unlocking an ancient mystery with the power to unite nations. Canadian with African roots Dr Samantha Baker is an extraordinarily ambitious professor of music composition, whose normal world is 4 walls. She has agoraphobia and relationship commitment phobia, but she still believes in the impossible. As a three-year old she was left on a deserted beach by her mother who never returned. Despite the trauma, she survived, so to take on one of the world’s most powerful mysteries, fraught with dangers on land and sea, is for her the very opportunity she needs to overcome her worst fears. But can she survive a second time to meet the expectations of her hard won academic university post, which is on the line, compose the music in time for the UN Peace Concert of the decade, and fulfil her own truth? Believing in dreams with destiny and purpose, she is willing to risk everything. She journey’s to the wildest coast of Africa, and here, she meets a macho-loser, ex-commercial diver Roberto, on self-imposed exile from a failing marriage, and a Xhosa family steeped in indigenous ancestral beliefs. Albeit uncomfortably, she must work together with Roberto if she is to solve the mystery, and they are to survive the wildest coast of Africa. Genre: Mystery, Drama, Adventure – Da Vinci Code meets Tomb Raider against the backdrop of the Red Violin. Comments on the screenplay: Executive Vice President of Film Finders, Peter Belsito: “Moving, inspiring a film waiting to be born.” David Trottier (USA), author of the Screenwriter’s Bible: “Solid story, emotionally satisfying.” Dr Dorian Haarhoff: “Riveting extravaganza.” Academy nominated and Tony award winning actress: Leleti Khumalo: “A beautiful story.” “The script delivers on its promise as an action adventure, with an intriguing and spectacular setting.” Vicki Bawcombe. Dr Avril Kinsey has written, produced and composed for stage, television, film and print. She studied film and television acting, art direction and film script writing at the University of California, Los Angeles and Sherwood Oaks Film School. She was mentored by David Trottier, author of the Screenwriter’s Bible and in South Africa by Dr Dorian Haarhoff, and at The Writing Studio, Cape Town. As a writer/producer/composer she has worked on several documentaries for SABC TV including Modjadji – The Rain Queen, Luthier – Mervyn Davis, South Africa’s First Guitar Orchestra and Legends of the Cape. The Wild Coast is her second feature film screenplay. 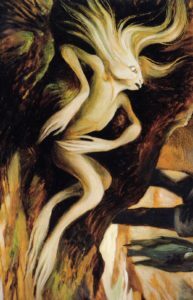 She completed the libretto and orchestral score for a two act ballet Vulcanus, which earned her a doctoral degree in music composition. She is currently working on a short nature documentary Pure Nature, No Plastic. Kinsey has written and published three music books, several articles, song lyrics, academic papers, and, as a performer and producer she has recorded seven compact discs. She has given guitar masterclasses at the Royal Academy of Music, the Volterra Project in Italy and at Mannes School of Music and the prestigious Julliard Music School in New York. She was awarded an Astris Award for her outstanding achievement in music. Further to her writing career, she undertook a prolific music performing career, concertizing in the United Kingdom, United States of America, Singapore, Malaysia, Portugal, Spain, Italy, Holland, Belgium, Austria, Germany, Denmark, Scotland, Greece and South Africa. Her many classical guitar compositions and recordings are published by Art Music Publishing and Recording. She also worked on music demos for Heart of Darkness and Ice Runner. She accompanied Luciano Pavarotti with the CPO during the Cape Town performance of his world tour. She is the recipient of numerous grants, sponsorships and awards for her work from ACT, NAC, BASA, the SAMRO Foundation, SASRIM and others. She is founder director of the Cape Town Academy of Music and Film and a WGSA full member (F2018200226).